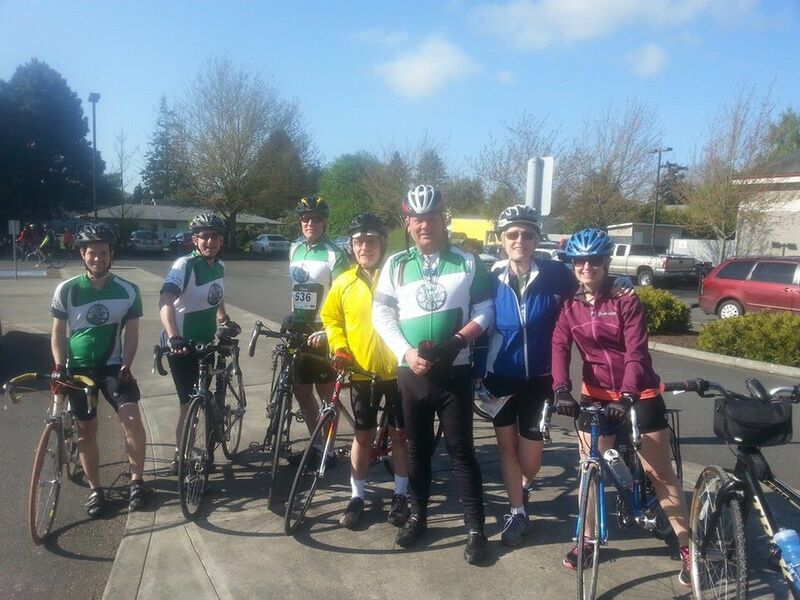 Last year Matt did the Tulip Pedal, a bike ride up in La Conner, WA where they have the annual Skagit Tulip Festival every year. 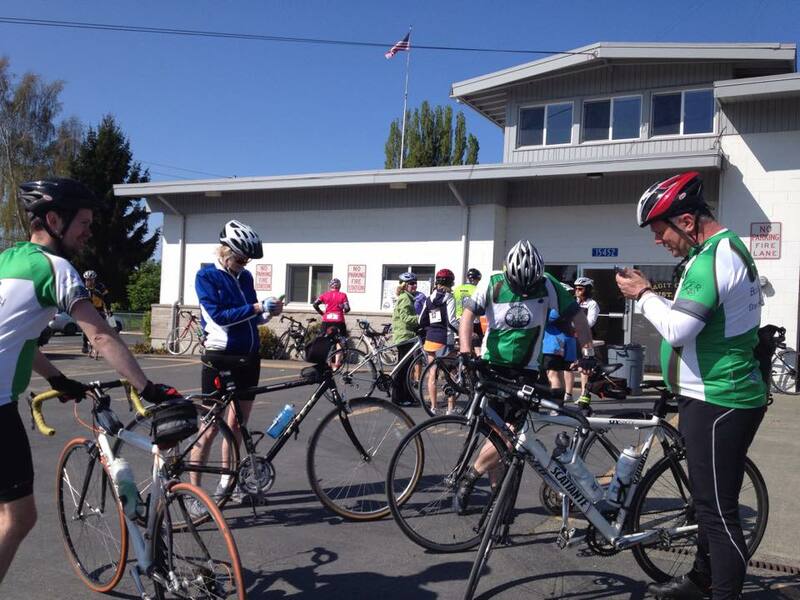 Him and our group of biker friends had done the 60 mile ride and it apparently kicked their asses. But regardless, Matt told me he thought it would be a great one to do together, so we can see the tulips, without having to sit in traffic. So I agreed to do the 20 miler with him. Since I’m not a biker, I was definitely not about to do any more than that. 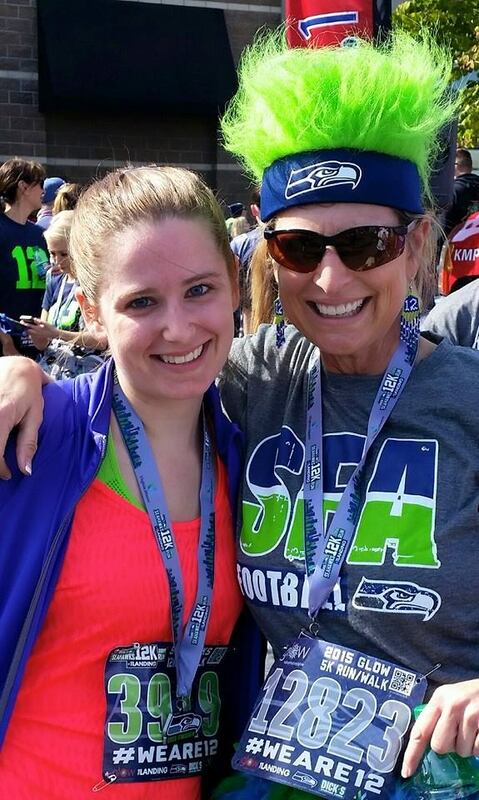 About a month or so ago my mom and Tricia both asked me if I wanted to run in the Seahawks 5k/12k run down in Renton. Since I’m preparing for the Seattle Rock n’ Roll 1/2 marathon in June, I figured what better way to keep me motivated than to sign up for a 12k (7.5 miles) and see where I’m at 2 months before. So I signed up for them both. And realized only 2 weeks before that they were both the same weekend. Even though I knew I would be completely physically and mentally exhausted, I did them both this weekend and had a blast at each. Saturday morning Matt and I headed to my dads and met up with the biking group. From there we drove the hour North to La Conner and set out. The ride ended up being really nice and not too difficult. We ran into some head wind at a few points during the ride, but other than that it was a very scenic and just nice ride. We rode along country roads, sang songs (ok so mostly I sang) and unfortunately due to early blooms, we didn’t see any tulips. 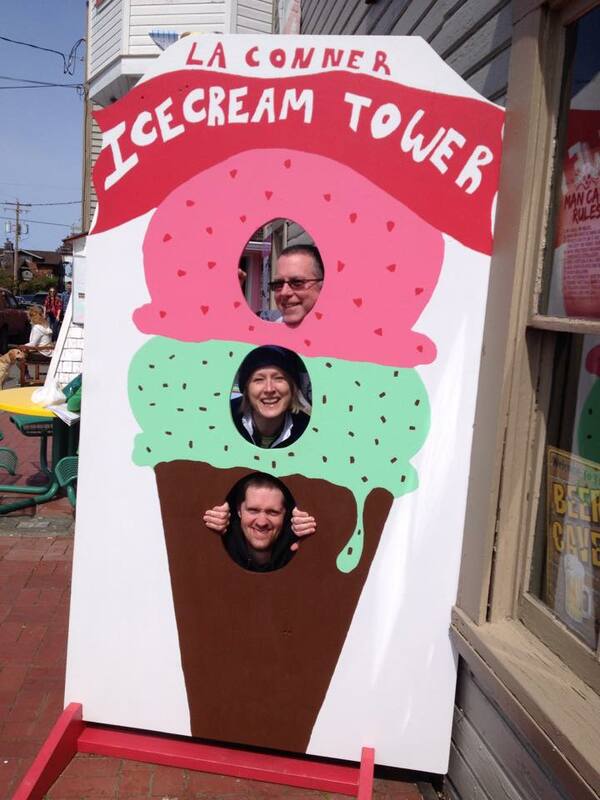 But regardless, I still had a blast hanging with my biker family and afterward, of course, we went to La Conner Brewing for some post bike ride food and beer and then grabbed some ice cream from a cute stand nearby. 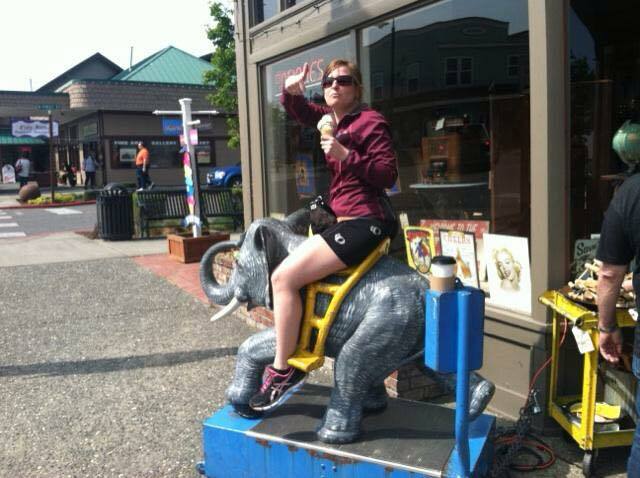 25 cent elephant ride and my ice cream cone. I’m an adult. Saturday night we ended up going to bed pretty early. I was so tired from the days events and worried about the run the next morning. So I hydrated and went to bed about 9. 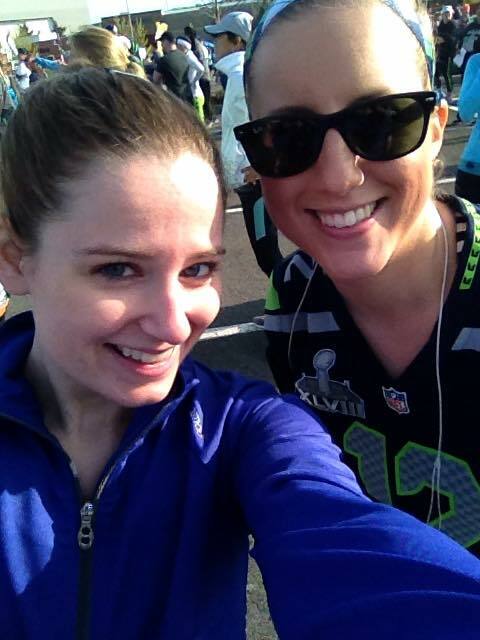 The next morning Tricia picked me up at 7 so we would have enough time to commute to Renton for the Seahawks run, find parking and grab our packets before my run started at 9. The run began at Renton Landing and headed out toward the VMAC where the Seahawks practice. 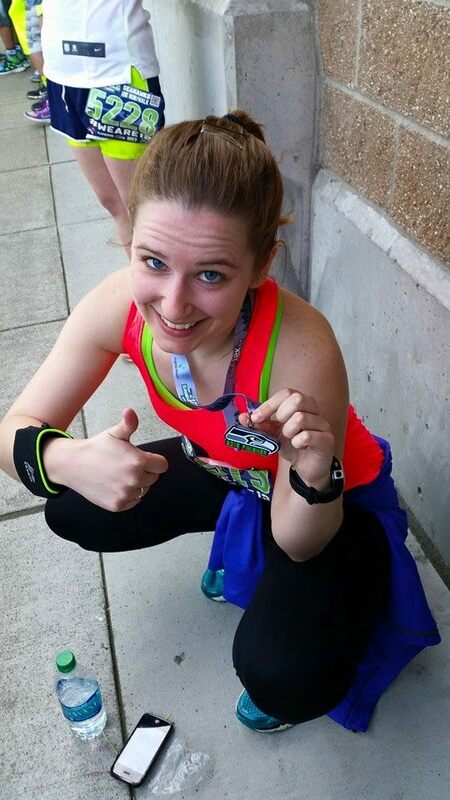 This was the first time I had done anything more than 4 miles so I was pretty nervous about how I was going to do. It ended up being a beautifully warm day but running on the blacktop was kind of brutal. I made it all the way to the VMAC (4 miles) without stopping to walk, then kind of shuffled through the water stop and continued on back. There were 3 hills during the course that didn’t seem so bad the first time around. But boy did it start getting hard on the way back. I think I made it about mile 5.62 when I decided to stop and walk a bit. Unfortunately, walking didn’t provide much comfort as all I really wanted to do was stop to stretch. I did end up stretching my calves at a tree for a minute but really I just wanted some water and to plop on the ground in a butterfly stretch. I struggled for the rest of the run, walking and running, finding no relief in either as my lower back and legs began killing me. I was cursing the lack of water on the route as well as that damn 20 mile bike ride the day before when I finally heard the music of the finish line and even though it was super crowded and my body was killing me, I couldn’t help smiling as I crossed. All in all I felt I had a pretty good run all things considered. It was definitely a wake up call in regards to how prepared I am for the 1/2 in less than 2 months, but it has given me the motivation to get out there to train better. I also learned the benefit of being able to eat WHATEVER you want after a nice long run like that. I couldn’t believe how hungry I was. Today I’m still getting over the physical exhaustion and nursing my sore muscles. I’m just excited to get back to it as soon as I feel better to start some serious training. Until next time – keep running! You’re a rockstar for doing those back to back, great job! !